Survey Winter 2003 by Michael & Doris Robbins. Verified by PCCPC Volunteers Winter 2006. Photographed 08 November 2013 by Jane B. and Jason Thompson. Directions: From Cedartown, take Hwy 27 south. Go about 4 miles. The cemetery will be on the right at the edge of the highway in the woods just before you reach Grogan Road. Note: According to a DOT employee, there was a baby’s grave at the site, but it was moved to an unknown location. 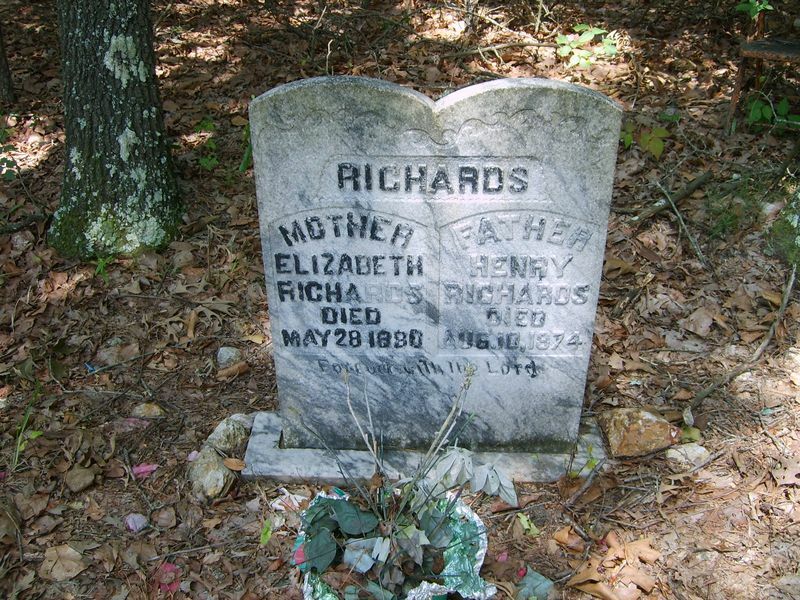 Henry RICHARDS married Elizabeth DOROUGH on 9 March 1837 in Paulding County.